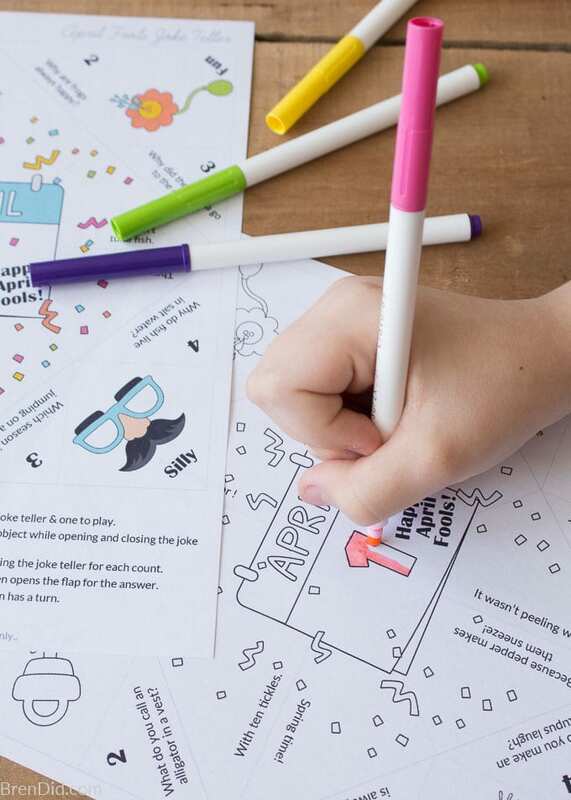 Love April Fools jokes for kids? 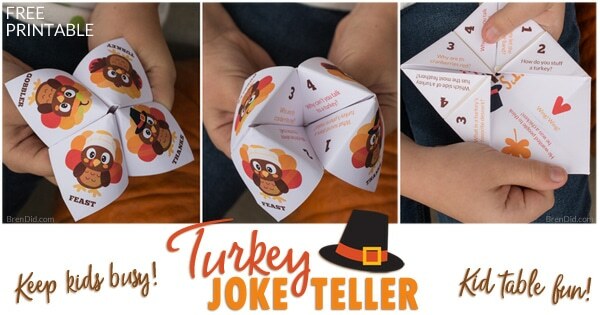 This silly joke teller is full of mixed up jokes and answers that will have kids of all ages laughing! 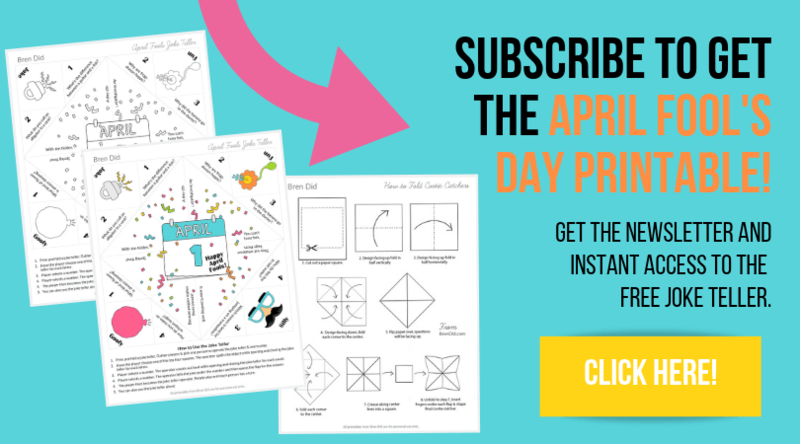 Grab the free printable for a fun April Fool's prank! 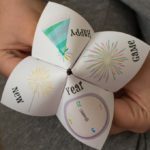 This post uses affiliate links.They don’t cost you a thing and help us bring you free printables and creative projects. Read more in Policies and Disclosures. 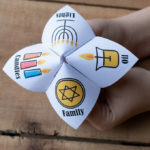 I always seem to wait until the last minute to think of April fool ideas to prank my kids. 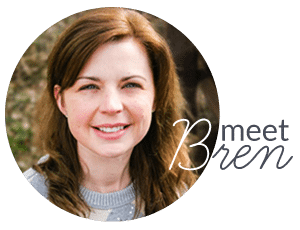 I’m not talking about elaborate plots to fool the family or mean tricks that hurt someone’s’ feelings. I love silly, harmless pranks! One April Fool’s Day I frosted Cheerios to look like donuts and served them in a donut shop box (the real donuts were hiding in the pantry). Another year I thickened glasses of orange juice with gelatin so it was “stuck” in the glass (set up this prank up the night before to make sure the gelatin sets). 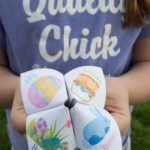 This April I decided to create a silly joke teller that you can print and share with your kids. 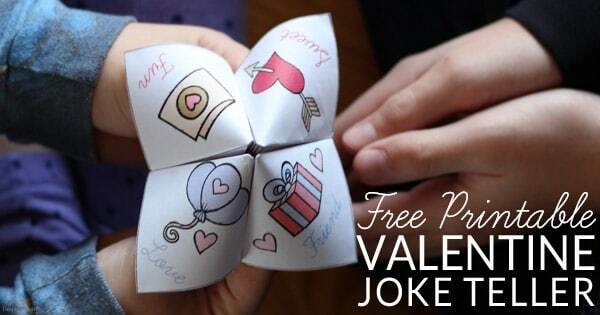 Joke tellers are the name I've given my free printable fortune tellers. They are folded paper game full of silly jokes. 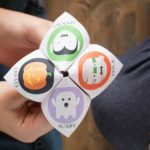 You may have heard them called fortune teller, cootie catchers, or chatterboxes. 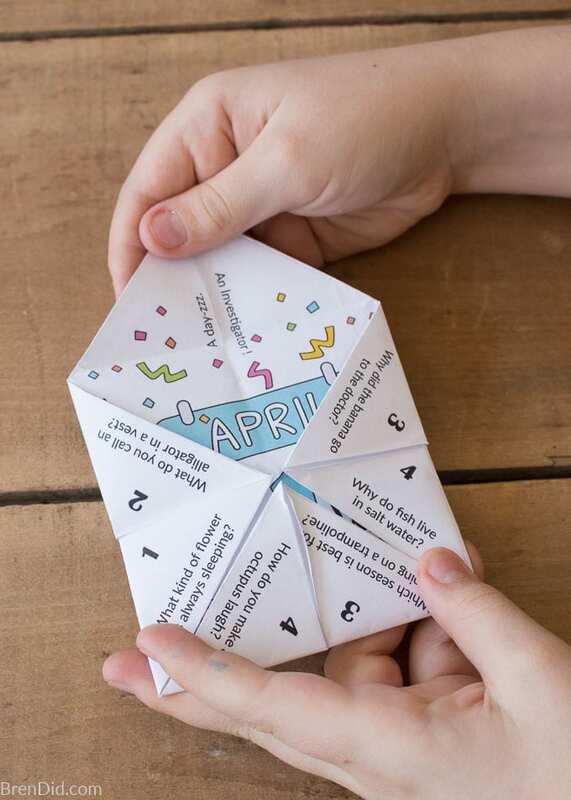 Get the free printable April Fool's Joke Tellers HERE. 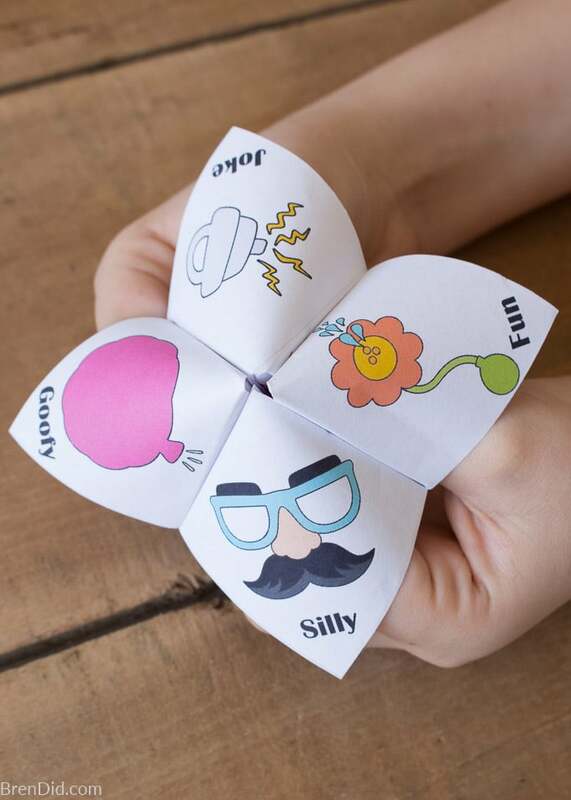 I was brainstorming April Fool’s jokes for kids when I thought of a twist… make the joke teller a prank! 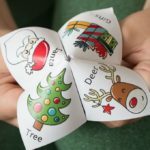 The joke teller is full of funny jokes, but the answers do not match up correctly! 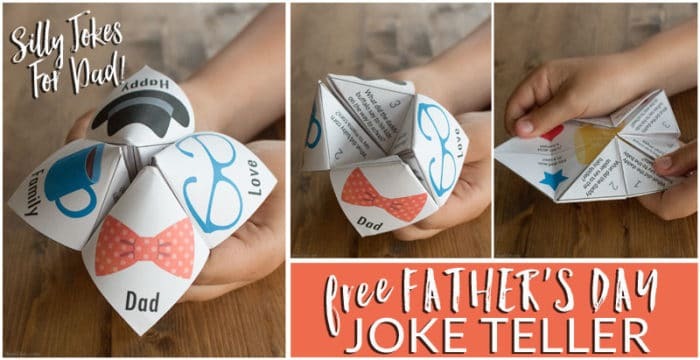 Sign up to get the free printable joke teller HERE., open the emailed PDF, and save it to your computer. 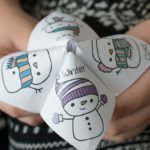 The joke teller comes in full color to print and fold or black and white for kids to color and use. 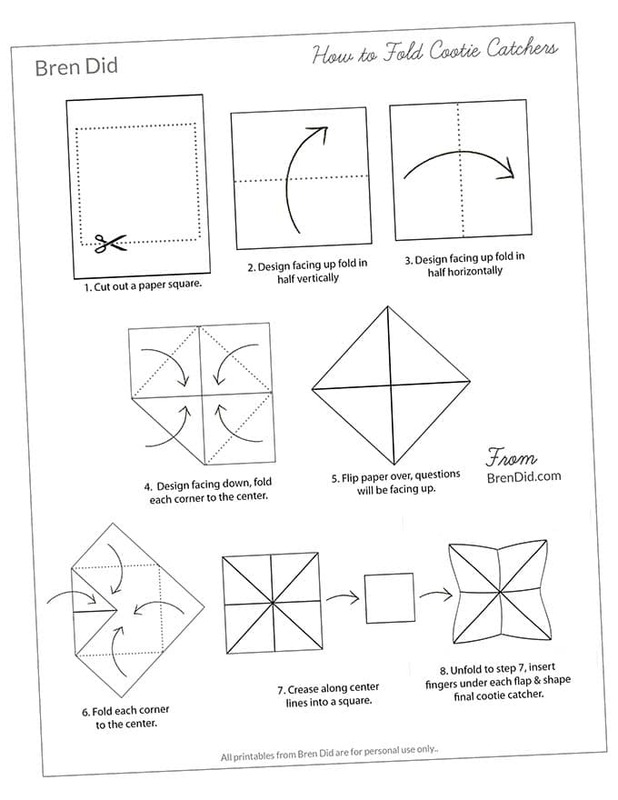 Download the joke teller folding instructions with the April Fool's Joke Teller HERE.. 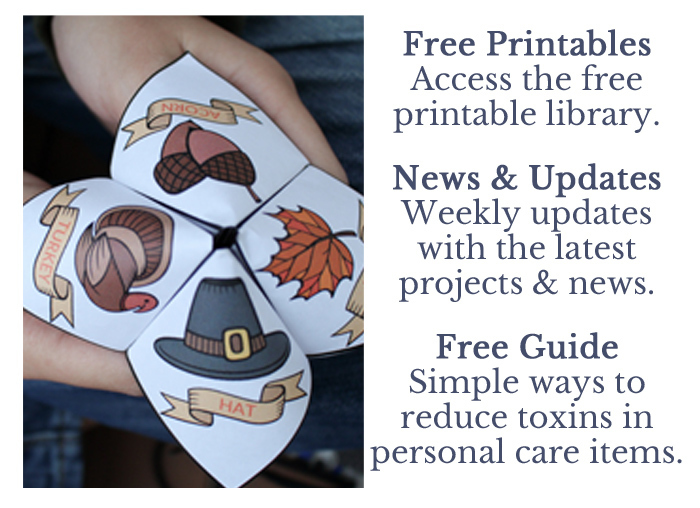 I signed up for the newsletter and free printables, but I can’t seem to get to them to print. Help! It just keeps cycling me back to the post and to sign up again…. Lisa, the joke teller was sent to your email. Please check your spam and junk folders. My kids are just looking at all the answers to see which one matches best though. Thanks so much for making and sharing these! My kids love them! I’m glad your kids are loving the joke teller. I hope they enjoyed figuring out the “prank” (that the jokes and answers do not line up correctly). Hey Carolyn, the answers and jokes DO NOT line up on this joke teller. 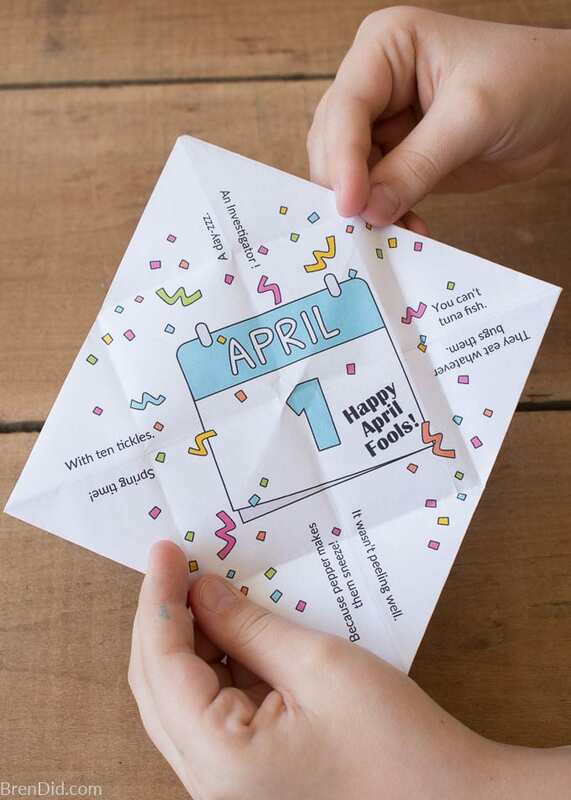 It’s a prank for April Fool’s Day. I mention in the post above that you have to move two spaces ahead to get the right joke answer. Hope you kids loved the prank!